I am enjoying this program far too much. 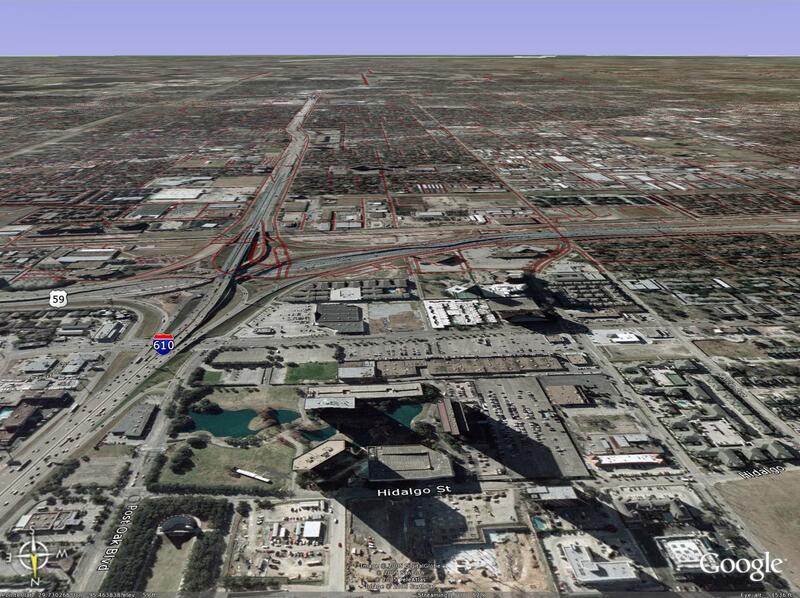 My latest shot shows an approximation of the view I had from the Williams/TransCo Tower in the Galleria Area today. I was in for an interview with a company, and the office in which the interview was conducted had an amazing view of Houston to the south and west. Of course, I was too nervous to fully appreciate the view (see next post), so I had to come to Google Earth to check it out again.